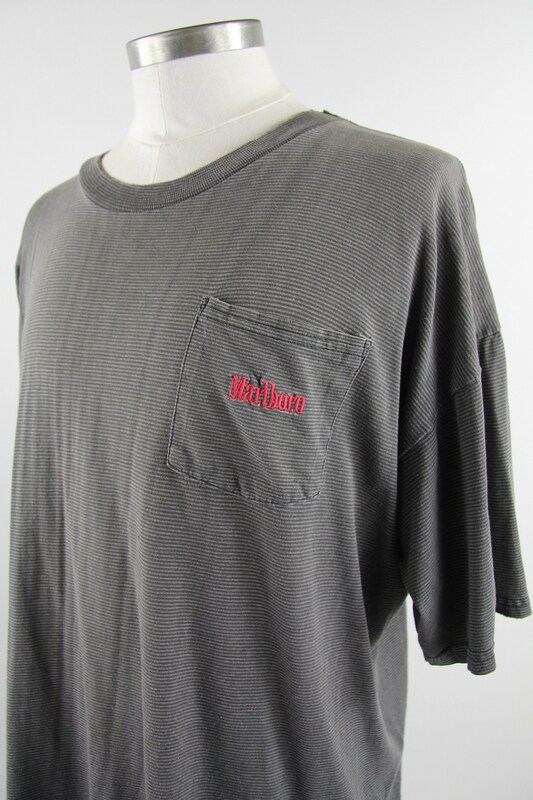 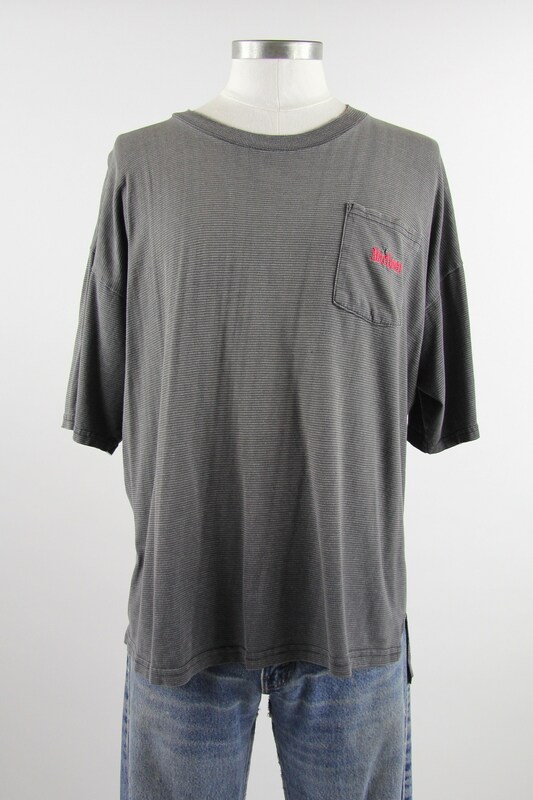 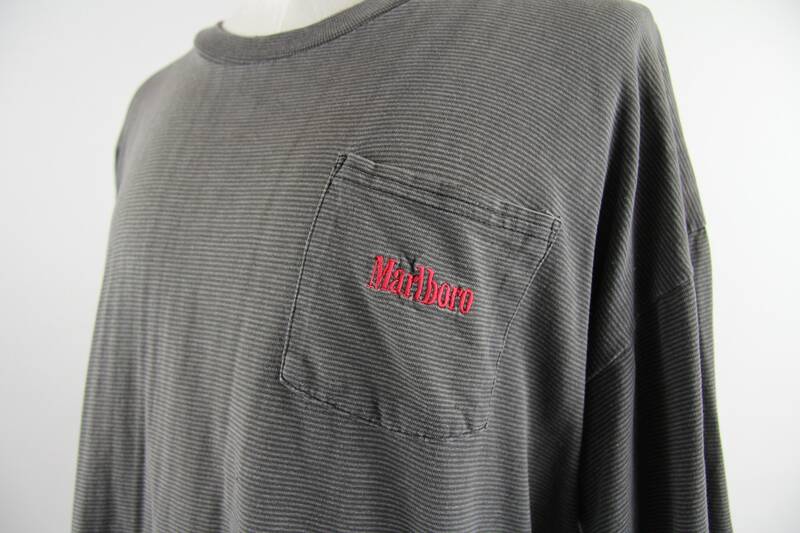 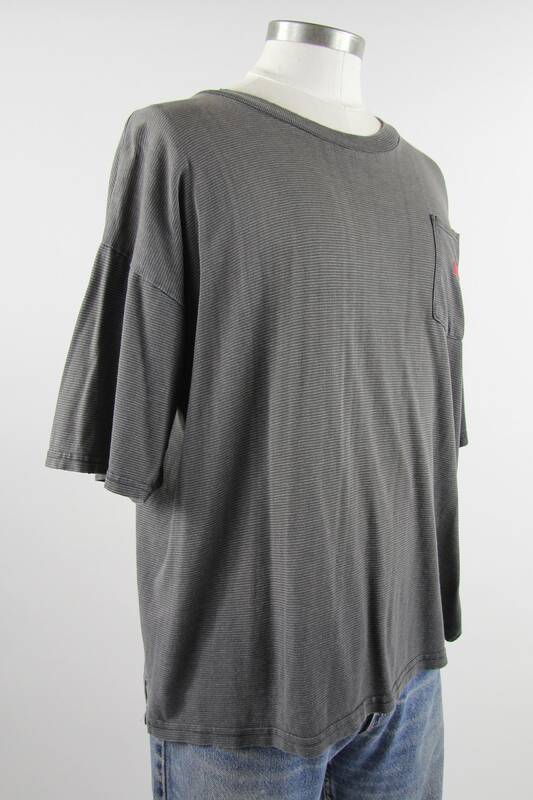 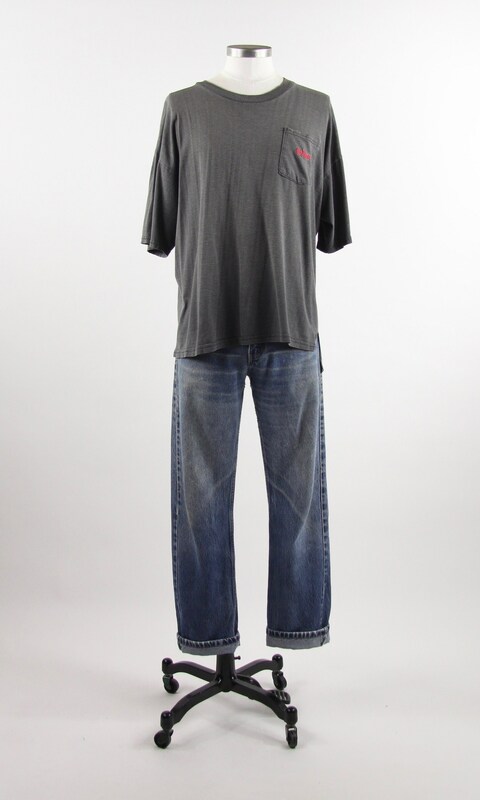 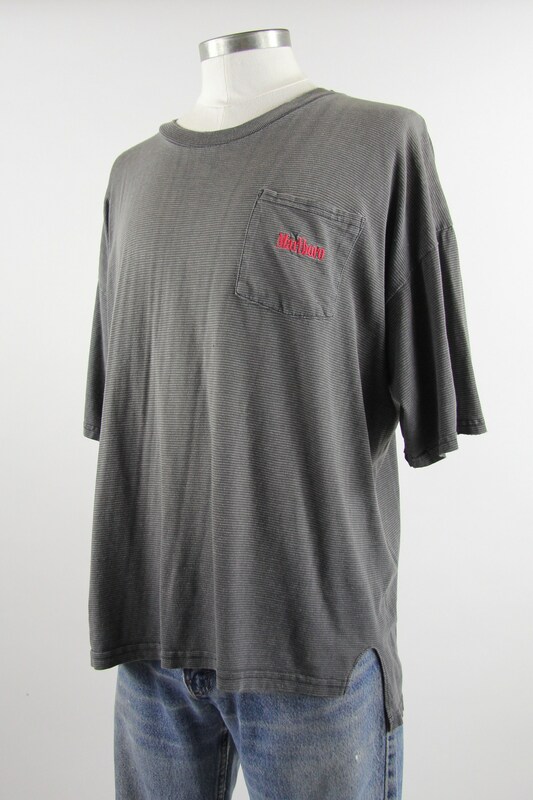 An original Marlboro cig promotional tee shirt. 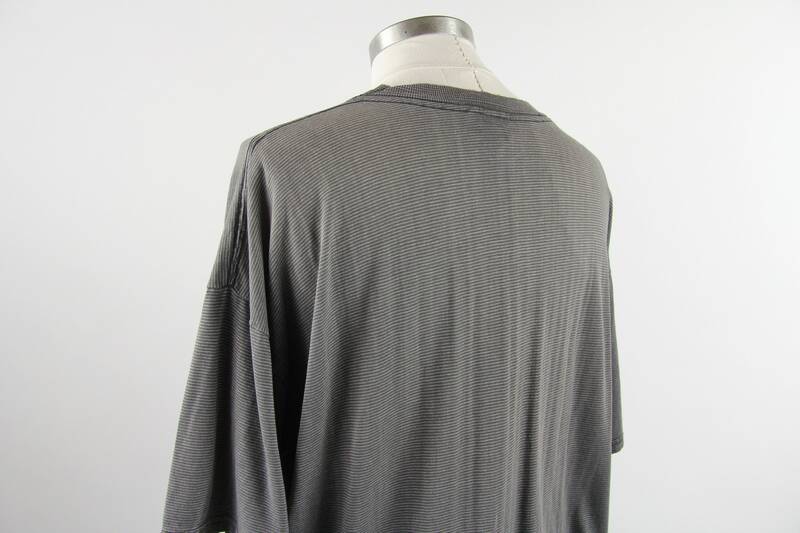 Grey Pin striped. 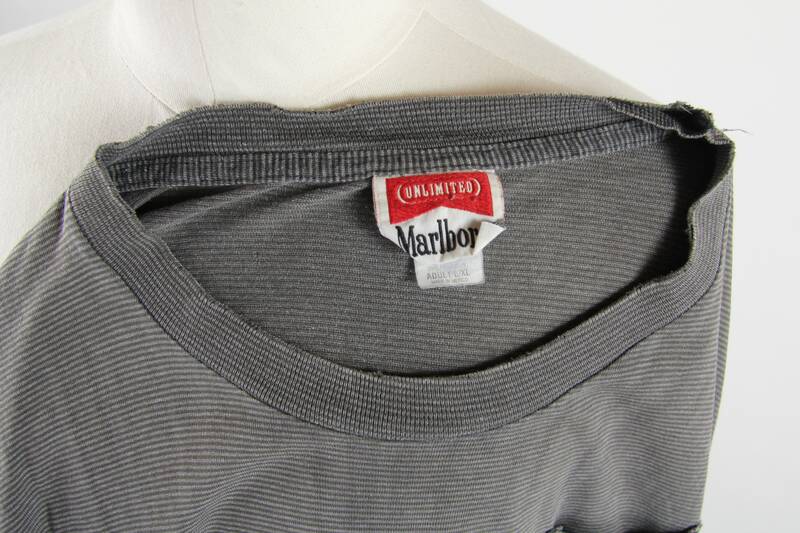 Very soft and broken in. 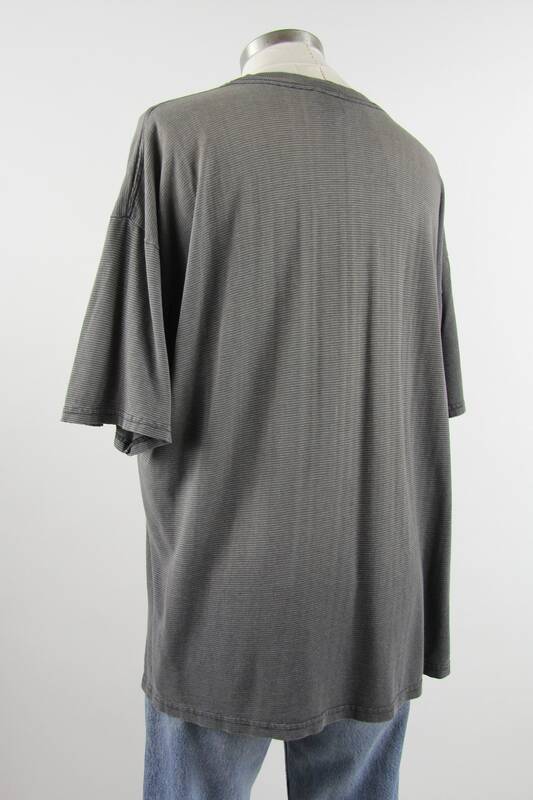 Bottom front hem hangs higher than back hem. 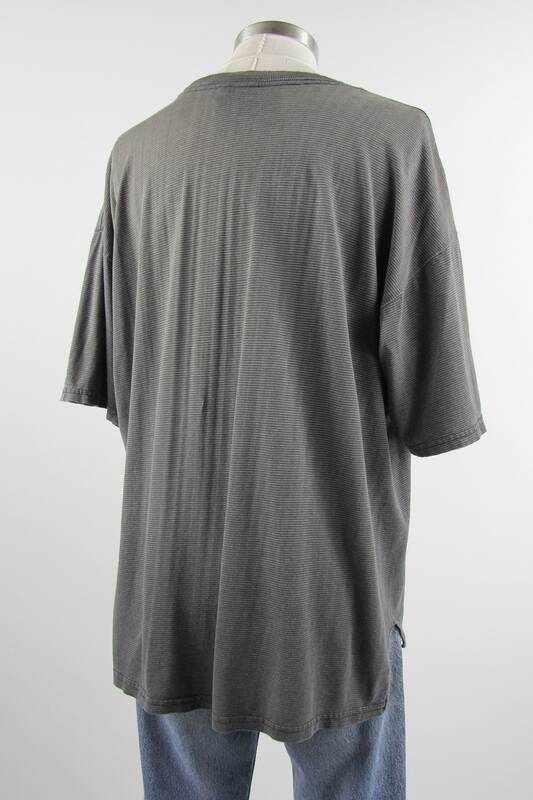 Fits like a roomy mens medium to large.